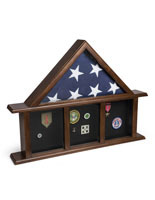 Use this ceremonial flag display with photo frame to showcase medals, pins, military member images, and banner on your walls or tabletops. 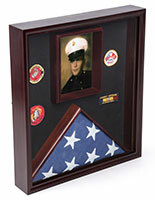 The rear loading design allows you to easily create a personalized memorial in the 4 sections. 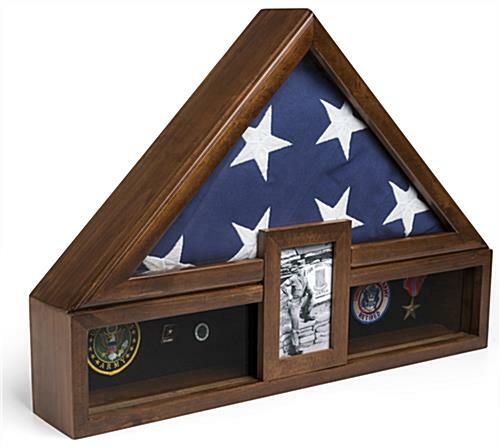 This flag display with photo frame has an enclosure for 5’ x 9.5’ banners, 2 felt-backed shadow boxes, and an area for 5” x 7” images. 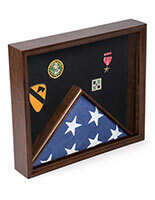 The back of this memorial case has hooks to easily mount on the wall or can be used on any tabletop. 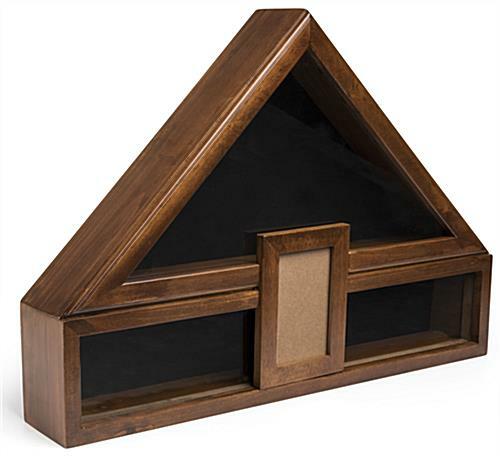 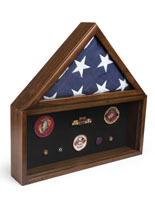 Built with solid pine and tempered glass, this cherry unit is durable and will protect medals and banners. 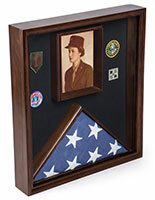 Included with this shadow box is 12” adhesive tape for attaching pins and patches in the felt-backed sections. 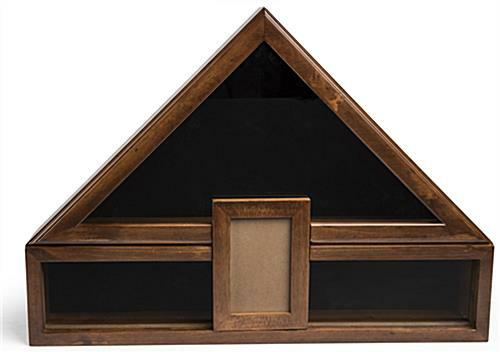 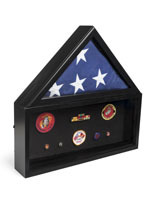 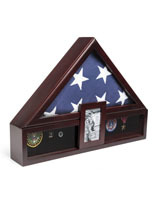 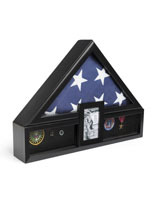 Create a sophisticated memorial for military members with this flag display with photo frame. 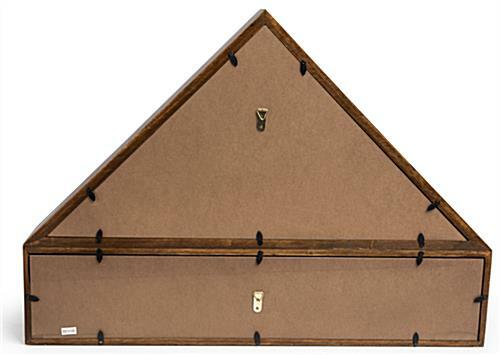 25.2" x 18.1" x 4.2"
9.3" x 3.3" x 4.0"